Keep your family shaded and safe from harmful UV Rays. Made in Charleston, South Carolina, USA. 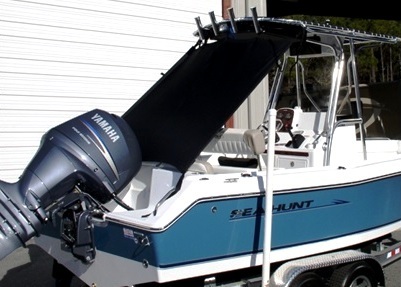 Size/Fit: Fits boat with 50-60 inches wide T-TOP or HARD-TOP, tapers to 5-7 foot wide at Rear, covers 4-6 foot long Cockpit area. 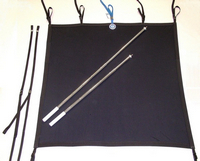 Attaches with straps (included) to front or rear of T-Top or Hard-Top Frame (or Saloon on Sport Fish) and stretches to Heavy-Duty Telescoping Aluminum Poles inserted in the Rear Rod Holders. Poles tie-down securely to boat to avoid loss. 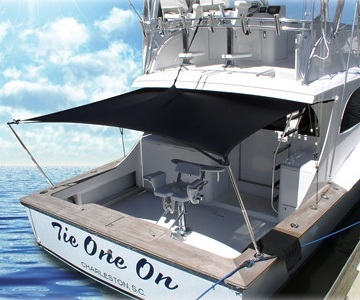 Shade fabric will stretch 2 feet in both directions to insure a tight fit. 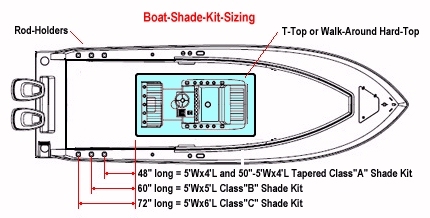 See Boat-Shade-Kit-Sizing to determine size. Made in Charleston, South Carolina, USA. Ships in box 4-inches square by 5-foot long, weighing approx. 19 pounds. Warranty: Laportes warrants to the original purchaser of its product that Laportes will repair or replace any products found to be defective in materials and workmanship for a period of one (1) year from the original purchase date. See https://www.ttopcovers.com/support/warranty. 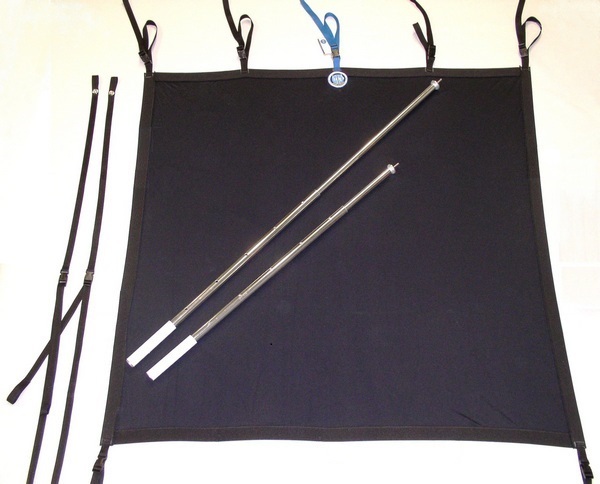 Connect both tie-downs from top of poles to a cleat at corners to hold down. 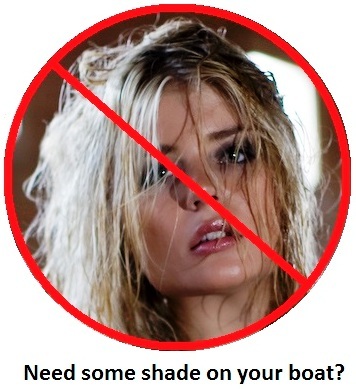 Maintenance and Care: Do NOT apply waterproofing of any type as this may damage the fabric. 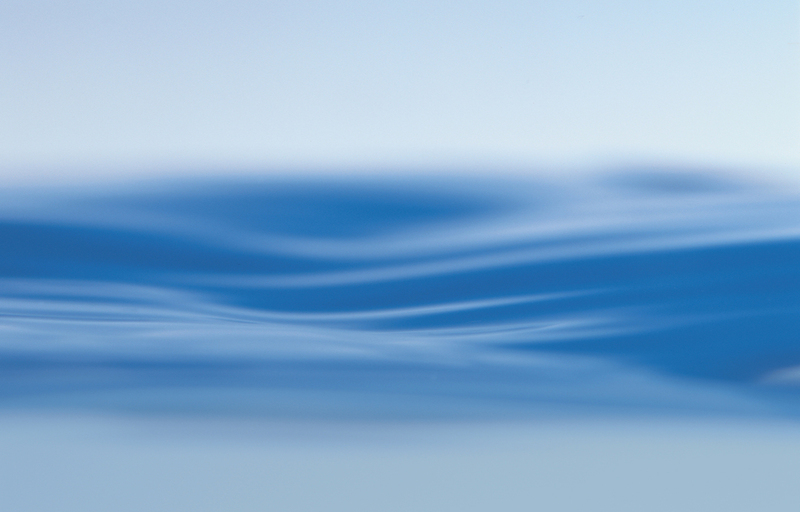 Clean with natural soap only. 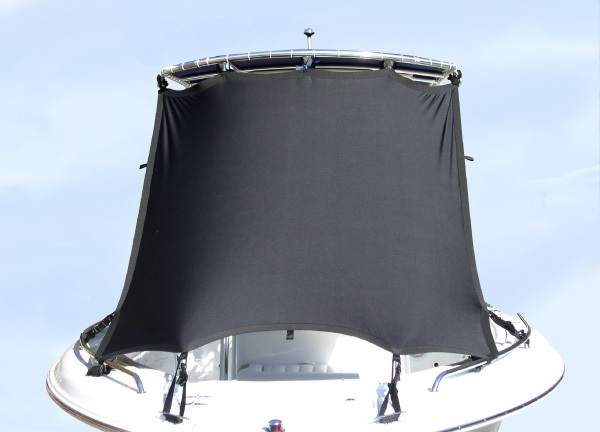 Material: Black Resilience(tm) stretch material with quadruple reflective coating to stay cool and avoid sagging. 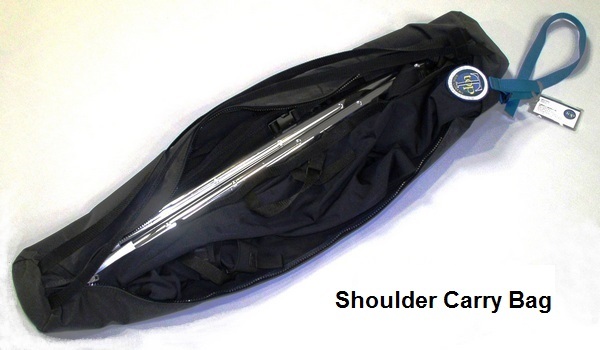 This material is very durable and long-lasting (used by Armed Forces to protect gear in the dessert), but is not waterproof..